Two people are behind bars on suspicion of shooting a Payson man they believed to be a drunken driver Monday near Blue Ridge. According to information from the Coconino County Sheriff’s Office, the shooting suspects were driving their vehicle north on State Route 87 shortly before 2:30 p.m. when the saw what they suspected was a drunken driver swerving in and out of the lane behind them. They called 911 to report the driver, and an attempt to locate was dispatched to Arizona Department of Public Safety Highway Patrol troopers in the area. The men attempted to slow or block the suspected DUI driver using their own vehicle. At one point, the suspected DUI driver drove off the road into a ditch near milepost 278. The shooting suspects left the road, as well, driving their vehicle next to the DUI suspect’s vehicle in the ditch to block him from returning to the road. Both shooting suspects were openly carrying Glock firearms and ammunition on their belts. One of them exited his vehicle and tried, unsuccessfully, to take the keys from the suspected DUI driver, whose vehicle was still running. The shooting suspects told investigators the suspected DUI driver’s vehicle then moved forward. One of the suspects shot multiple rounds into the car’s engine block in an attempt to stop the car from getting back on the road. The vehicle moved forward again. This time, the other shooting suspect fired multiple shots from the passenger seat at the suspected DUI driver, shooting him once in the chest. An Arizona Department of Transportation crew saw the vehicles in the ditch and stopped to help. They contacted DPS after seeing the weapons and a person on the ground. DPS troopers secured the scene and detained the two shooting suspects. Medical personnel from Pine-Strawberry Fire and Medics treated the 31-year-old victim, who was then transported DPS Air Rescue to HonorHealth John C. Lincoln Medical Center in Phoenix. The victim is in stable condition but has not been able to give a statement to investigators. 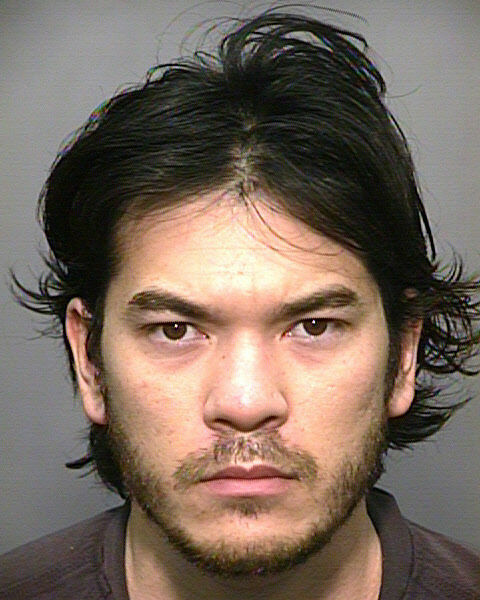 Brandon M. Vongthongthip, 28, of Phoenix was arrested on charges of second-degree attempted murder, aggravated assault, disorderly conduct and disorderly conduct with a weapon. 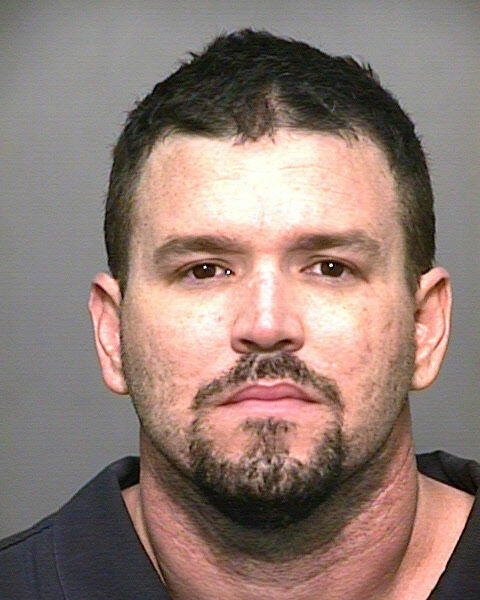 Shane A. Tebo, 38, of Phoenix was arrested on charges of aggravated assault, disorderly conduct and disorderly conduct with a weapon. Both men were booked into the Coconino County Detention Facility in Flagstaff. Detectives with the Coconino County Sheriff’s Office are still investigating the shooting, as well as the suspected DUI. Unfortunately, a few people who carry guns seem to be so eager for a chance to use them that they fail to consider other, less lethal options. Or, in the words of Abraham Kaplan, "Give a small boy a hammer, and he will find that everything he encounters needs pounding." Yet another fine example of a gun used for self defense. People commit criminal acts every day, this has nothing to do with self defense. If these two gentlemen were police officers they would have shot and killed the gentlemen in the car as he was trying to assault them with a deadly weapon. I hope they did a blood level test of the DUI suspect at the hospital to actually be sure he was under the influence of whatever. To make sure that he should have been confronted in the first place. Then if his blood level was of a DUI level then this person needs to be charged as well. Arrested and Charged for DUI or under the P.U.I., would help with the assault charges against the two shooters. I believe they would be in full right to shoot the suspect as a police officer would have had in the same situation. This idiot if under the influence could have killed a friend of mine or a loved one or worse a friend of yours and a loved one either way Nancy Grace is going to have a field day with this one. Self defense? Any gun owner that has taken the concealed carry class knows what they did was beyond stupid. Felony conviction equals no 2nd Amendment rights! Additionally, it sounds like they were both horrible shots. People like this utterly disprove the NRA's notion that an armed society is a polite one. These are the poster children for more stringent gun control.